For the vaper looking to stick to a budget – or just snag a killer deal – the VaporFi clearance section is the place to shop. 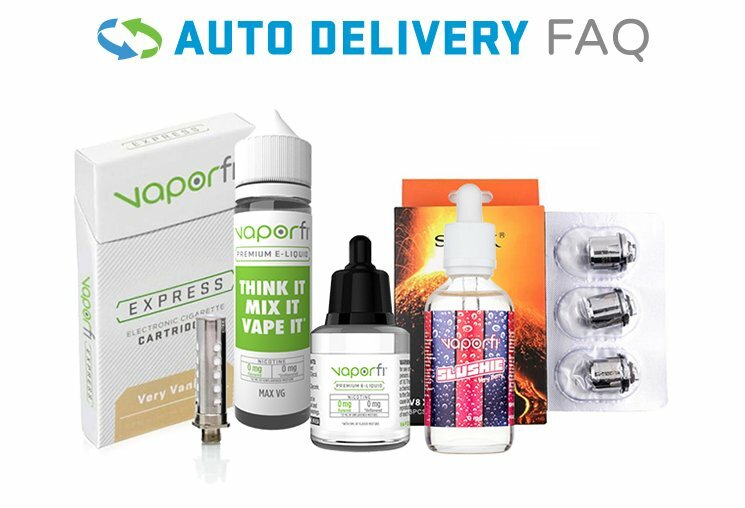 Here, you can find all of the premium-quality vape products you have come to expect from VaporFi, but at super cheap prices that you will need to see to believe. Whether you are looking for vape devices or accessories, thanks to the ever-changing clearance section, you can find what you need here. Hurry and grab the products you want – because these deals are sure to go quickly! Unlike other vape companies, VaporFi stocks our clearance section with top-quality products, not cheap imitations. As you browse the selection, you will spot top products at unbelievable prices. With a wide range of items that is always changing, you never know what you might find. Often times, you will see that there are e juice tanks, accessories, replacement parts, batteries, and premium vape mods for sale in our clearance section. If you’re looking to upgrade your entire setup, getting a vaping starter kit at a budget-friendly price makes it easy to try out a new device. Grabbing a protective case for your device is always a good idea, and saving a few bucks never hurts either. For the various replacement parts that are a necessary part of vaping – like batteries, clearomizer tanks, and o-rings – finding a good deal can help you keep your hobby from getting too expensive. Because we are always adding new products to the clearance section, it’s worth checking it regularly so you don’t miss out. At these prices, the products go incredibly quickly – so don’t risk losing out on the vaping deal of a lifetime. Scoring great deals on all your favorite vaping products is as simple as keeping a few quick tips in mind. First, make a regular habit of checking the VaporFi site to see what you might find, as new products are always being rotated in. It takes just a few minutes to do a quick browse session, and doing so can be the difference between seeing the perfect deal at the right time, or missing out on it entirely. As you look through our vape products on sale, don’t just limit yourself to things that you need. With rock bottom prices, there is never a better time to treat yourself to something new than when you find it on clearance. You may have a device that you are moderately interested in, but you don’t want to buy for full price. If you catch it on clearance, it’s the perfect excuse to take a chance on it. Another tip is to pay attention to release dates for new VaporFi products. Often, to make room for updated inventory, we will add a handful of awesome products to clearance. If you stay up to date on our product releases, you can have an insider perspective on the best days to shop our sales. Clearance Vape Accessories, Mods, and Vape Pens for Sale: Worth It? For many people, the thrill of a good deal can be a powerful thing. Almost everyone loves a big sale because it means that you can stock up on products and save a ton of money. However, it is also important to make sure that you are making a smart vape purchase that will be worth it in the end. You should stick to shopping with a vape company that you know and trust, like VaporFi. Nothing is worse than thinking you got a great deal, and then realizing that you just spend your hard-earned money on a shoddy product. At VaporFi, every single product we carry is hand-selected for its quality, top-notch features, and durability, so you are safe to shop freely. At our vape store, a low price doesn’t equal a cheap quality product. At VaporFi, we are dedicated to providing our customers with the absolute best products, service, and overall experience in the vaping industry. It is that mission that sets us apart from other vaping companies, and it has earned us a loyal customer base that consistently rates us as their top choice for all their vaping needs. Whether you are shopping in our clearance section or choosing from high-end, big-ticket items, you can be confident that your purchase will be worth it. Our product warranties also protect your hard-earned investment, and our 30-day money back guarantee gives you the confidence to shop risk-free. If you don’t like what you buy, you can send it back for a no-questions-asked, 100 percent refund. Once you start shopping with VaporFi, you will understand why we should be your only choice for mods, accessories, and vape tanks for sale.